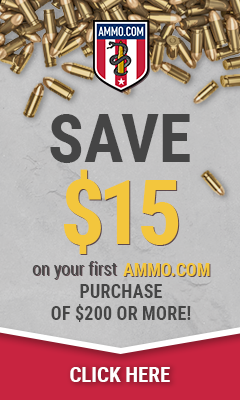 Typically I am not one to share my hopes and dreams with you as this is a gun website full of guns and gun stuff but today I need to share with you the nightmare that has been in my life for the past year now. As I am sure a lot of you have seen the X-products 50 round X-15 .223/5.56×45 drum magazine for the AR-15 platform and might have even seen the video below of me firing off all 50 rounds with the ZA-15 which, as you see, feeds the rounds like a dream. But this isn’t the part where I tell you about the good but where I share my nightmare. When I first started my testing a year ago I fell in love with the magazine and I am known to call this the p-mag of the drum world because of how fun it is. I love to walk around with the bad boy in my rifle and shoot off a few rounds. Of course it makes you want to reload your mag more and that is my nightmare. I will be at the range and go to open that ammo can to reload only to see that it is empty of .223 ammo to feed the drum and gun. Damn, that stuffs goes fast when you are having fun! 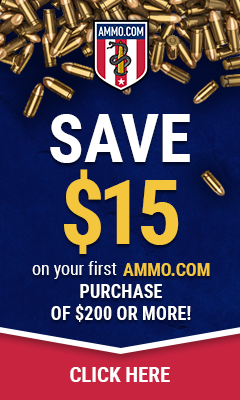 All joking aside this is a really great magazine that I have found is great for everything from plinking on the range to sighting your AR on the lead sled to displays at your local gun shop. The crew and I talked about trying to torture this magazine by driving over it or throwing it off the tower but since X-products has done such a good job at designing this out of aluminum and steel it would be really hard to show any kind of damage to this without blowing it up or taking a blow torch to it which there is really no real world reason that SHOULD ever happen. Our testing was concentrated on just sending rounds thru it. I have put about 1000 rounds through this magazine without any problems what so ever. I own a surefire 60 round casket magazine which looks cool but since we primarily shoot steel cased ammo we get metal on metal friction which stops the magazine from working but since the X-15 drum is designed in a spiral the ammo has a hard time locking the magazine down. I live in the great state of Texas where I am not limited on how many rounds I can have in my magazine so I own 30 round magazines and up which can be a problem if you are sighting your rifle in on a lead sled but I found that the X-15 works great for that and I don’t have to change mags if 10 rounds wasn’t enough or if you are sighting in a number of ARs. I have a few friends who have owned beta mags and other AR drums and they haven’t liked them all that much. Most of them were skeptical about the X-15 when I first started talking about them but after they used mine they could feel the difference. When you load the mag in your rifle for the first time you might think this is going to make your gun heavy and unbalanced. By keeping the weight straight under the gun it doesn’t unbalance the rifle and the weight doesn’t really become much of a factor when you are pulling the trigger. For $239 this might seem like a high priced magazine but you have to consider the durability that a steel and aluminum drum offers you. Would I go out and buy 30 of them? No, because I don’t need that many drum magazines with having less expensive AR polymers. However, if I have a need for a reliable over 30 round magazine this is my first choice. I have not yet gotten into 3 gun matches or competition shooting but I have seen a few videos online of competitors using the X-15 and they have nothing but great things to say about them. I love this magazine. It is well made, durable and dependable. It is also a hell of a lot of fun. I am really excited to see what they have in store for us in the years to come.